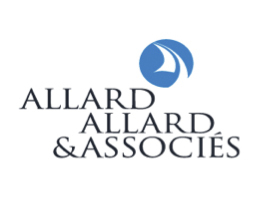 Founded in Montreal nearly 20 years ago, Allard, Allard & Associés is emerging as a strong up-and-coming investment management firm in Quebec. Its strong track record can be attributed to its rigorous and disciplined value-driven investment process and to its team-based entrepreneurial culture. The firm is wholly owned by its investment managers who, as owner operators, have a long term view that is well aligned with their clients’ objectives. The investment philosophy is to perform in-house fundamental research on profitable firms whose debt is small relative to tangible assets and acquire these firms at a reasonable price. Over time, this approach has provided superior returns while offering strong capital preservation in down markets. To outperform consistently, the investment process has to be rational, rigorous and disciplined. Thorough understanding of companies, quality of balance sheets and healthy diversification are the cornerstones of risk management. Market indices must be used solely as performance benchmarks.